Nurses are natural problem solvers. Every day in which you are caring for an individual, family, community or population, you are addressing a problem that exists which is in need of a solution. Sometimes these problems are directly related to the person or person(s) for whom you are providing care. Such problems might include the presence of symptoms related to an acute or chronic condition. Other problems might be unrelated to the patient and/or family but rather how you deliver the care to the patient. Regardless of what the problem is, you, as the nurse, need to work to solve that problem. In doing so, you are working to improve the care of that person or person(s). Yet, ‘problem solving’ is not a course that is offered (to my knowledge) as part of nursing school curriculum. We take many courses on how to care for different individuals, families, communities and populations during our undergraduate years. In learning how to care for these individuals, we also learn the nursing process. The nursing process includes assessing, diagnosing, planning, intervening and evaluating outcomes. 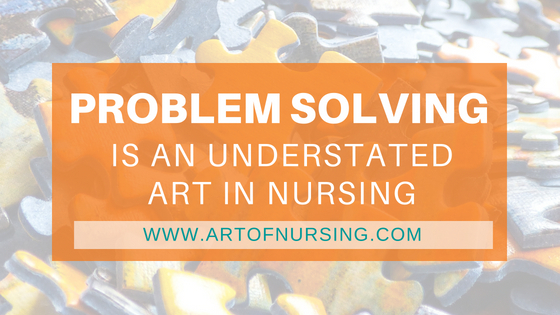 The nursing process supports our ability as nurses to solve problems. We must understand the situation by doing an assessment. In that assessment, we also consider the environment and context along with any other potential factors that could influence the outcome. We form a nursing diagnosis and in doing so identify the problem to be solved at that moment in time. From that nursing diagnosis, we form a plan for how to address the identified problem. Part of that plan is to identify appropriate interventions. Those interventions are the actions taken to help support solving that problem. Following the intervention we evaluate to determine if we did resolve the problem or if we need to take further action. In many instances, there are micro problems that appear that also need to be solved for the identified macro problem. Sometimes the patient cannot take the medication in the provided form. Sometimes the patient needs to be re-positioned in a certain way to promote optimal oxygen saturation. Sometimes the patient requires some assistance with addressing a wound that is not responding to treatment or identifying how best to run all of the medications that are required despite limited line access. Whatever the problem or problems you are faced with over the course of your nursing work day, you always work through them and never let them stand in your way of getting the care the patient needs. 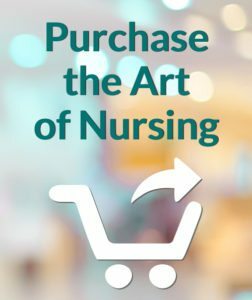 Thus, while we know that nursing is a science, we also know that there is an art to delivering nursing care. The art of nursing care delivery, when done well, is often not visible to those individuals, families, communities and populations. Instead, what is visible is how the experience is remembered and that feeling of being cared for as a person or person(s). Solving problems that present themselves for those whom you are caring for is not something you will see on your job description but it is something you will instinctively work to do as part of your job whether at work or outside of work. As you continue with your nursing career, consider what you do each day and how you are problem solving. In many instances, you are not working from a protocol or a book. You are working from your understanding of the nursing process, your understanding of the individual, family, community or population’s need, and how you can best solve for an optimal outcome. The solving part often requires ingenuity in that moment and an appreciation for knowing that everyone should be treated as an individual or an individual situation. About the Author: Dr. Tiffany Kelley is the Founder and CEO of Nightingale Apps and iCare Nursing Solutions. Nightingale Apps is a mobile health technology company offering Know My Patient®, a patent-pending mobile application designed to provide nurses with information at their fingertips for more time with patients. iCare Nursing Solutions provides consulting services to health care organizations in need of health IT and informatics solutions to address the needs of their clinicians. 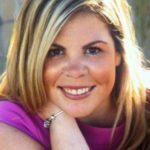 Dr. Kelley was featured as one of the top 12 women in healthcare in 2017. She is also the author of Electronic Health Records for Quality Nursing and Health Care. 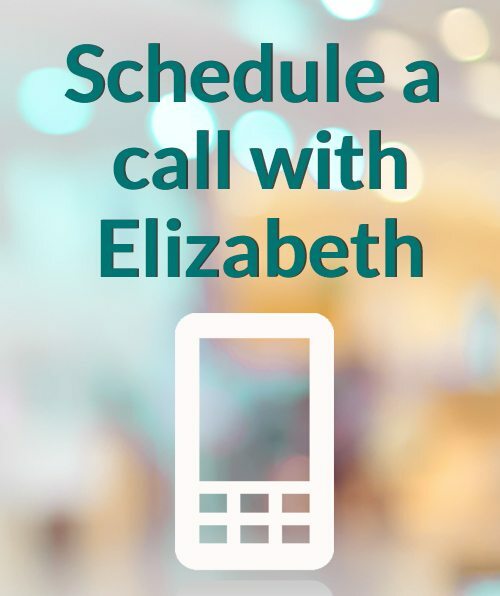 You can find out more and connect with Dr. Kelley via the Nightingale Apps website.